Lamellia: The Kingdom of Mushrooms follows the king and queen of Lamellia as the kingdom is dealing with the appearance of a human child. What was the direction that you wanted to take this book that was different from The Wicked Queen? In this book we get to explore more of the king’s backstory. What were some themes you wanted to capture in his character? I recall seeing this big, ugly and brown mushroom during a forest walk. As I sat down to write the story based on that particular mushroom, it seemed natural that regardless of its appearance it’s going to be the story lead because I saw it first and the idea of the book followed. Why did you choose mushrooms to be a large part of your world? This book was not planned at all. I got the idea while out in the nature. One could say that the inspiration was fuelled by my husband, who likes to point out names of wild plants in the forest. Being authentic with this story was important even though to some people it seemed ridiculous or not one to pay most money. Some parts of the books might appear harsh to a child. I am not keen to block truth and reality from a child such as there are poisoning mushrooms out there or some human behaviours have negative impacts to nature. I also remember one marketing person who saw the draft and told me that their child did not like the story and went further to suggest I write a different book based on trending topics at that time which made more money. It did not put me off because humans are different and our motivations are diverse. A child who is not raised to explore nature and its residents will probably not be excited by this book. It was essential to tell this story without money being the motivator. I am working on two projects simultaneously. One is a children’s Swahili book co-authored by Tanzanian writers. The other is of course the continuation of Lamellia story. For the latter, I am open minded to receive ideas for where Lamellia story should go but I trust to know when the end has come. Can a lost baby girl find a new home in a world of enchanted, talking mushrooms? King Polipoli is kind to all who enter his magical kingdom. When he learns that a human baby girl needs his help, he sends out all his mushroom troops to rescue her. But the journey wont be easy. After all, how can the little fungi carry a baby? Or feed her? Mushrooms of all shapes, sizes, and species must use teamwork and creativity to bring the girl safely to the kings castle. 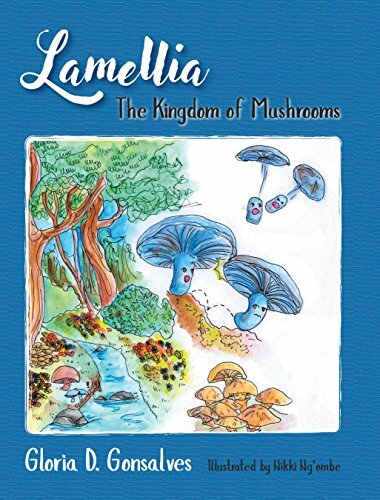 Lamellia: The Kingdom of Mushrooms is a delightful educational picture book for children. During the fun-filled adventure, your children will discover the importance of kindness, tolerance, and acceptance. If your child likes seeing beautiful illustrations, learning about nature, and using their imagination, then theyll love this charming fantasy tale. Journey to Lamellia today to have a fun time with fungi! 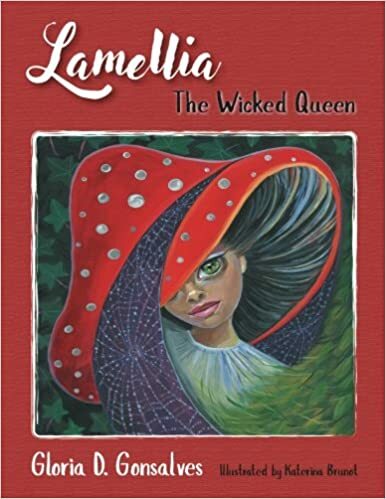 Lamellia: The Wicked Queen is part of a children’s book series by author, Gloria D. Gonsalves. The story is set in the whimsical mushroom kingdom of Lamellia. King Polipoli and Queen Nobilia rule over the land and employ several other types of mushrooms that make up their army. The queen seems to have everything that she could ever want, but there is one thing she longs for; a baby. When she’s sad, the queen sings a song that would puts a damper on the mood of the entire kingdom. Black clouds hang over the colorful kingdom washing it out with dark shadows. All of the mushrooms’ moods seemed to mimic the queen’s. They become depressed and withdrawn when their queen is suffering. The author does a good job of introducing the kingdom and the types of mushrooms in the first pages of the story. I found myself flipping back to reference things there. It seems that everyone had a job to do. Most of those jobs consisted of combating enemies or keeping them at bay. In this way, the story feels very much like the fairy tales we grew up with. The king, the queen, their court, and their protectors are all present like in the classics. Magically, a human baby appears in the kingdom. Everyone, including the king, falls in love with this precious baby and care for and dote on her from the instant she is found. She is showered by adoration with everyone except one mushroom. The queen tries to keep decorum in front of the others, but something sinister is afoot. With that, another classic element of an evil queen is introduced. What’s a book without conflict? Not all is sunshine and roses in the kingdom of Lamellia. The author introduces conflict through Nobilia’s demons. However, the book seems to leave an open path toward redemption. If Nobilia accepts the baby, everything could change. Readers will find these elements reminiscent of Disney movies they’ve seen. I think the book is well-written and easy to read. With parental guidance, I think young readers will be able to handle this book. It does have some dark parts, so I don’t know if I’d suggest it for independent reading for very small children. Some guards die, and the queen poisons the baby. These elements can be a bit scary for little ones. I do think children will enjoy the beautiful, painted illustrations. It is also short enough for a young reader to tackle without getting overwhelmed. Overall, it is well-written and has a nice flow. Gonsalves has woven together a beautiful kingdom of characters while leaving room for flaws. I’d like to see how the story of the wicked queen progresses. Sabrina London is now Queen of the Water Fairies. The problem is she doesn’t really want to be, and she is expected to marry Lord Raion of the Tainted. Sabrina and Dunyasha, the ancient vampire, devise a plan to solve Sabrina’s problems and free her from marrying Lord Raion. They recruit Amber, a Fire Fairy, to become Sabrina’s double. 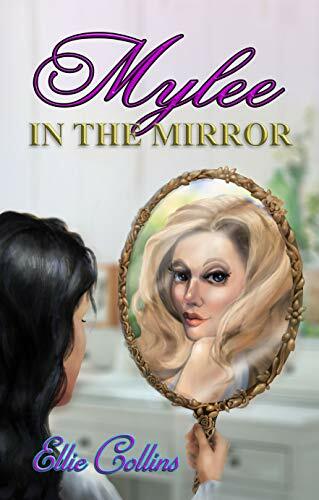 Through extensive surgeries and training Amber takes on the persona of Sabrina and is able to fool most people into believing she is in fact Sabrina London. 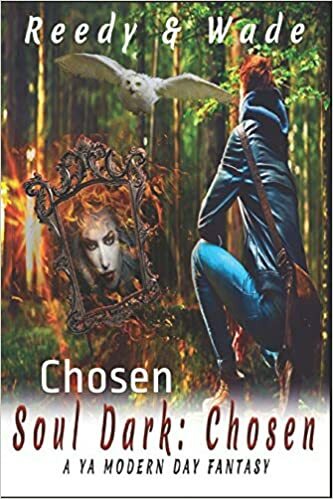 Her mission is first to dispel of the people that could tell she was not in fact Sabrina, three tests to make sure she would be able to fool Lord Raion. Through these tests and missions, Amber and Dunyasha’s true motives come out. They are not looking out for Sabrina, they are not really on her side, what motivates these otherworldly beings? Who will survive in the end as each race clashes and fights for dominance over all the others? Kevin Breaux returns to his world of fairies, vampires, and other creatures. We learn more about who Dunyasha is, what her past is, and how she became the cursed undead. Characters such as Jackson and Cade return, well-loved characters from past novels that played integral parts of Sabrina’s development. 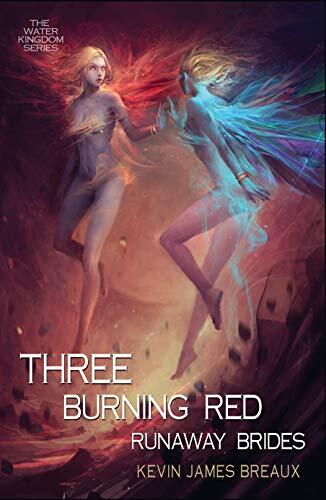 Three Burning Red Runaway Brides is a complex novel with so many different plot lines all intertwining that you almost need to keep notes at times to keep up with who is on who’s side, what plots are being planned, and is there even a good guy or bad guy anywhere? The deeper you go into the novel the more complex each character gets, and you find things you love and hate about each of them. Learning how the water elements all interact in the water kingdom and move about is fascinating. Learning more about the traditions the water fairies have in place adds to the complex character that is Sabrina as you figure out how she became the person she is now. Amber, also known as Skipper, starts out like a spoiled brat you just want to dislike. As we learn more about her though, we find out she is much more cunning and determined than what she appears on the surface. She has glimpses of good intentions, but most are self-serving in the end. Sabrina while she tries to grow into the role of queen, you see her reverting back to the way she was in the first novel, her growth is less developed, and even regressing in this novel. She reminds me of the teen rebelling more so than Amber as the book continues. 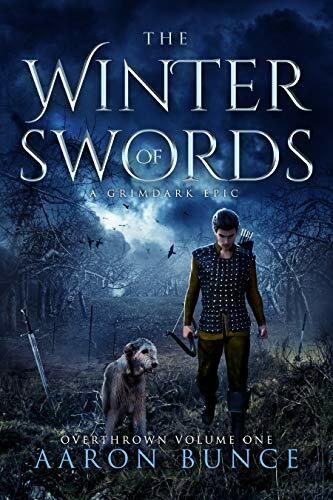 Without giving away key plot elements, I can say the story of Dunyasha is one of my favorites, how she ended up one of the cursed undead, how she created her family, her history and her plans for the future. 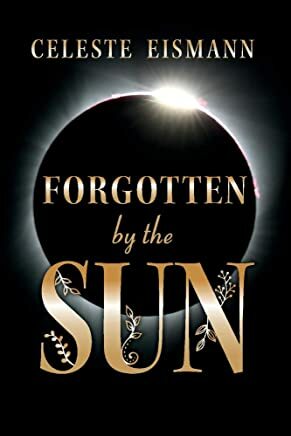 I can see this plot line continuing into another book as her story continues to unfold and fate of the vampires and their awakening continues. 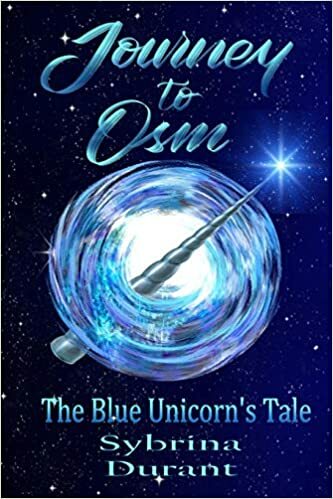 Kevin James Breaux has a great talent for drawing the reader in with his detailed story lines, descriptive writing and unique plot twists. Each novel builds on the last but stands alone to tell a story unlike the past without feeling like you are rereading the last novel.